Improving the lives of the underprivileged in the Sultanate, Dar Al Atta Society encourages giving, through positive and constructive partnership with donors and those in need. Oman Cancer Association’s mission is cancer prevention and control; improving cancer patients’ quality of life and supporting their families, looking after survivors and the wider community. 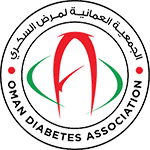 Working to improve the lives of the Sultanate’s citizens who are currently sufferers, the Oman Diabetes Association also helps to avert the onset of type 2 Diabetes by spreading awareness in the local community. Giving confidence-building skills to all those living with Down syndrome in the Sultanate, the Association promotes social, academic and professional inclusion and particularly supports children. 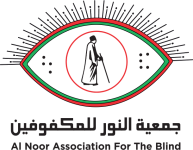 Serving the interests of the Blind in Oman, the Al Noor Association offers support within the social, economic, welfare, education, health and training sectors. Alongside improving living standards, the charity also facilitates the teaching of Braille within the community. The Environment Society of Oman is the first and only environmental NGO in Oman. It aims to protect Oman’s natural heritage and influence environmentally sustainable behavior through education, awareness and conservation.